We started the day by taking a taxi to the old downtown Vegas. First stop was the brand new Mob Museum which just opened on Valentine’s Day. It is 3 floors of the old Federal Building, and an interesting storytelling of the history of the mob, including the Vegas connection. 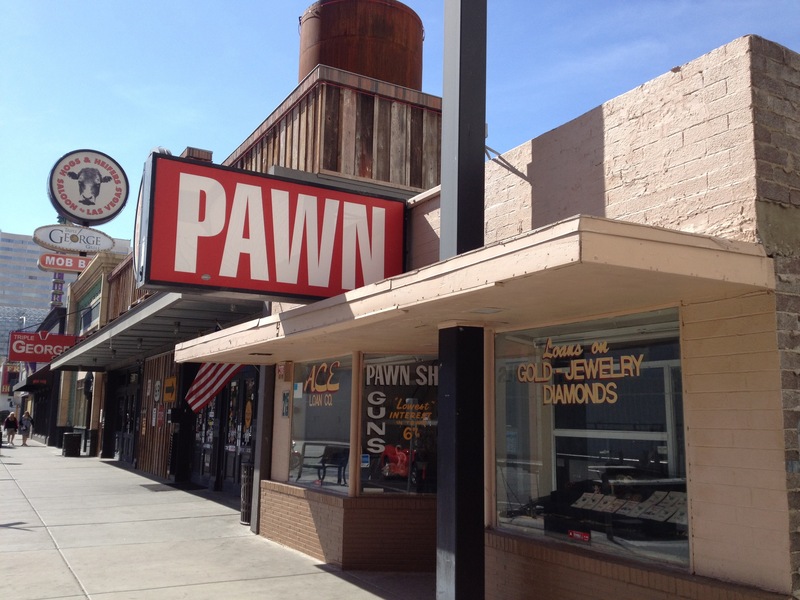 Nearby is Fremont Street, the old downtown of Vegas. We walked around, gambled at the old Golden Nugget, and them took a bus back to the strip. After a short rest, we ventured out again. First stop was our hotel of last year’s visit, The Venetian. We had to visit Thomas Sabo so Ellen could pick up a few new charms. We then found a small Italian place for an early dinner. We then walked across the street to the Wynn. The focal point of this trip was the Garth Brooks concert. Having become country music fans in the late nineties, we missed the chance to see Garth in concert before he retired. Having seen just about everyone else, it was a concert missing from our repertoire. We had last row mezzanine tickets for the Encore Theater, which holds around 1500 people. It was still a great venue to see Garth and his guitar. He structured the show as a history of his music influences, starting in his birth year of 1962 (he and I were born 2 months apart). His history and mine had a lot in common on the rock side, from Simon & Garfinkel to James Taylor to Elton John to Bob Seeger. He performed others’ songs from the 60’s to 70’s before coming to his own music in the late 80’s. He told stories, he sang, he was very funny and entertaining. And as I speculated, he was joined for a few songs by his wife, Trisha Yearwood. He played a solid 2 hours, and entertained the entire time. He ended of course with Friends in Low Places, with the crowd on our feet singing along. Not many artists I’d pay $250 to see, but it was a concert of a lifetime and worth every penny. We cabbed it back to the hotel, and will venture outside of Vegas tomorrow.